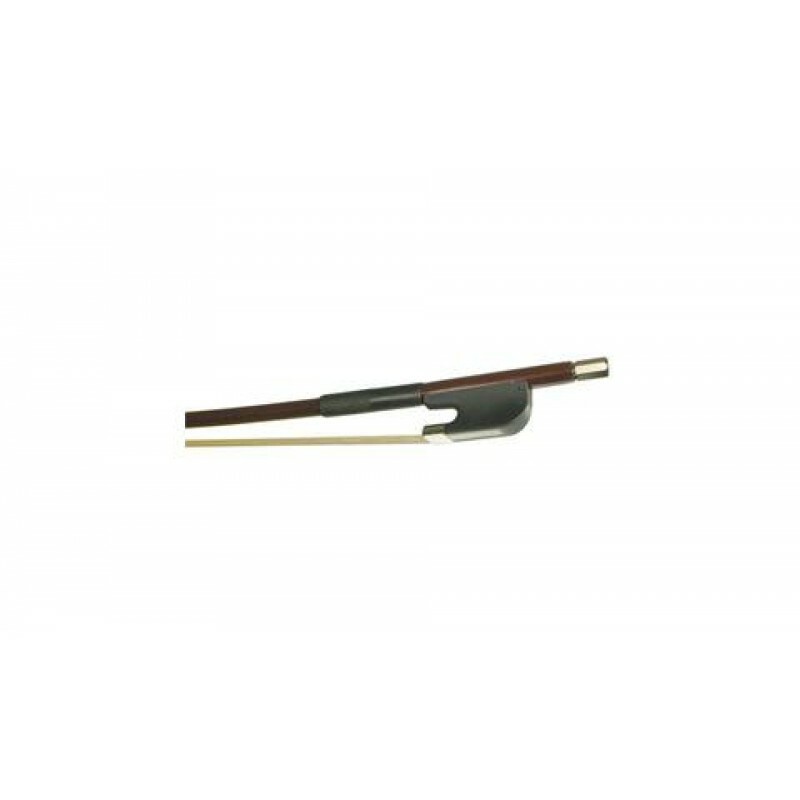 This standard model fiberglass French Style Bass Bow that features a half-lined bow frog with metal under-slide and an imitation three-part button. These bows have genuine unbleached white horsehair and a leatherette grip. Their fiberglass construction allows for extra durability, making them an excellent wood alternative for students and other players alike. This is a very inexpensive option for students who are just getting started with their studies.